In season one, in different episodes Michael plays video games on KITT's in dash TV screens, do we know what make or model of computer is used in the dashboard to run the video games? Re: What sort of computer is in KITT? 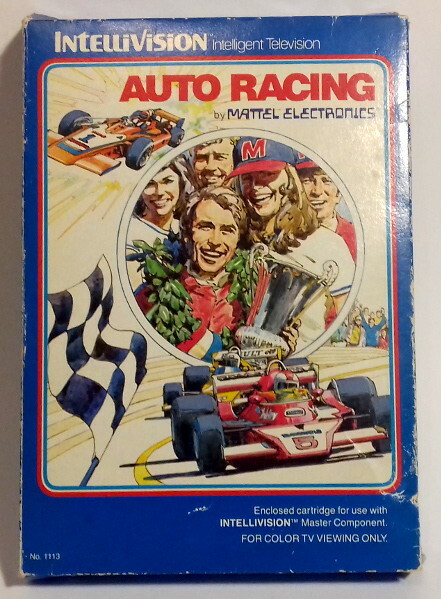 Several Mattel Intellivision's games were used on Knight Rider. Some of them even illustrated a scanning action like "Auto Racing" in Forget me not or another one I forgot the name (Lock'n'Chase?) in Inside Out. 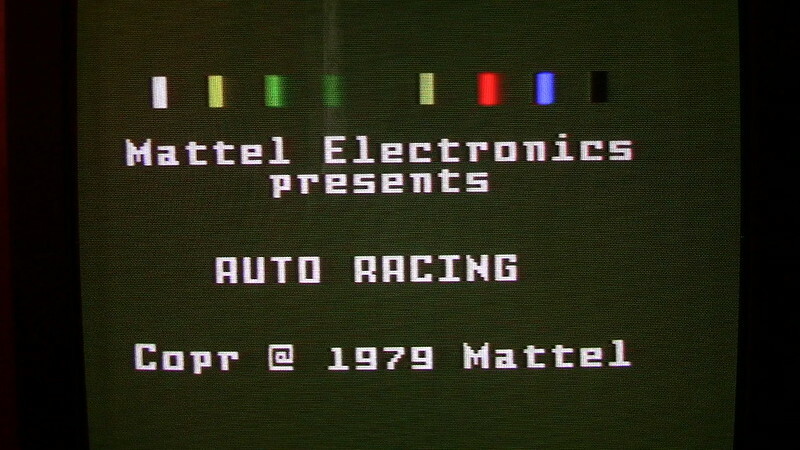 Atari 2600's games were exploited too, like the sound of KITT's analyzer extracted from "Milliped". 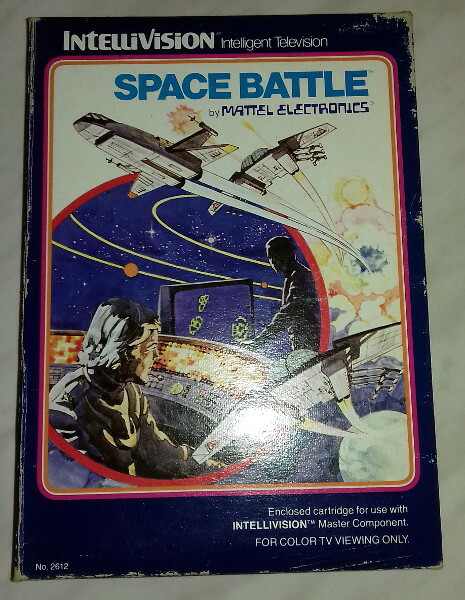 Found recently a used, working Mattel Intellivision for sale and decided to get it. Seller said this unit is from 1981. 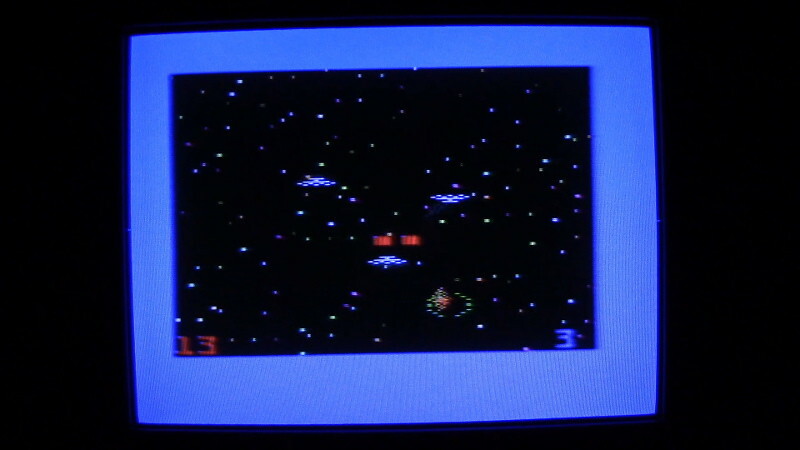 Also got the game "Space Battle" for it which was called "Space Cadet" in the episode "Nobody Does It Better". Pretty cool retro videogame device, never played Intellivision in it's day so it's completely new system to me. Earlier got also new "Retro Arcade" game with 200 games in it. Similar looking thing like the Pacman tabletop videogame Devon got in the episode mentioned above. Unfortunately, according to info I found online, this game probably doesn't have Pacman. Haven't verified that though as I haven't tried yet all games. There's at least not a game titled Pacman in the games menu I went through. 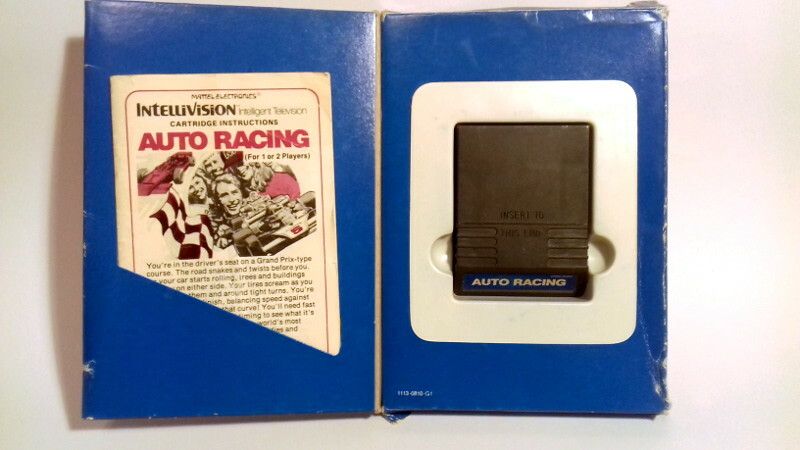 Hope to find the Auto Racing -game for Intellivision as well. Bought also recently a used Playstation 2 to play Intellivision Lives game compilation and of course, Knight Rider game by Davilex. 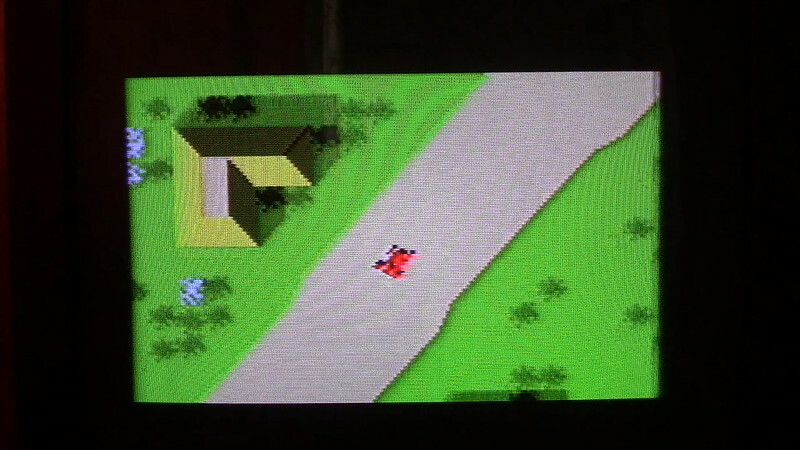 Actually I have only the Knight Rider 2 game for it so far, might add the first Knight Rider game as well if I find it. Never had Playstation 2 system before, only the original Playstation and PS3 Slim. I suppose, since the 'cutting edge' Knight Industries computer components were a bare minimum of a quarter century ahead of the curve, (more or less. A few examples can be found to state that not everything was completely equal in the 'future department'.) 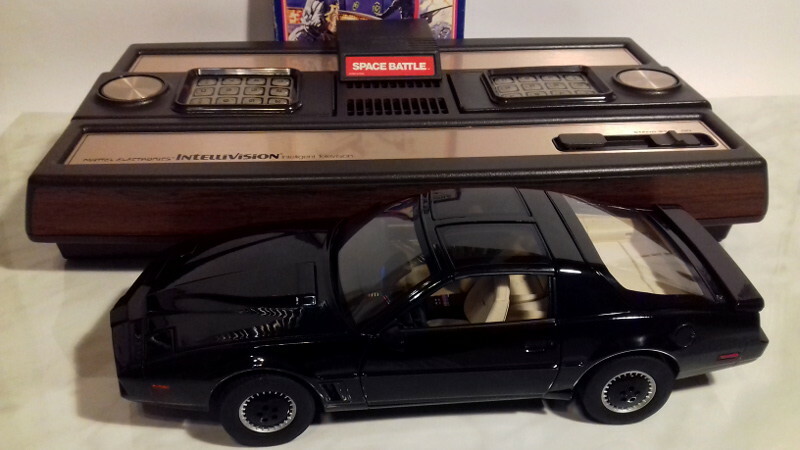 there is room to argue that Kitt could easily host an emulation for such a console. However, real world examples of software emulation for hardware platforms has often proved that you tend to dedicate a lot of processing power to match what the original chips did with a fraction of that processing speed and resources. Making Kitt emulate a console should have been very demanding over just slipping in a shelf purchased console, stripping away the shell and concealing it behind the dash. A Retro Arcade. Now that little beauty really does show just how far we've come since the early '80s. A clear, LCD screen that brings forth a plethora of built-in games. All of them are more complex then most of the offerings on an Intellivision/ColecoVision. And the price of making it a reality is mind staggering low. I got one of those, too. Won it from a crane game for a couple dollars. And it's library comes from China. 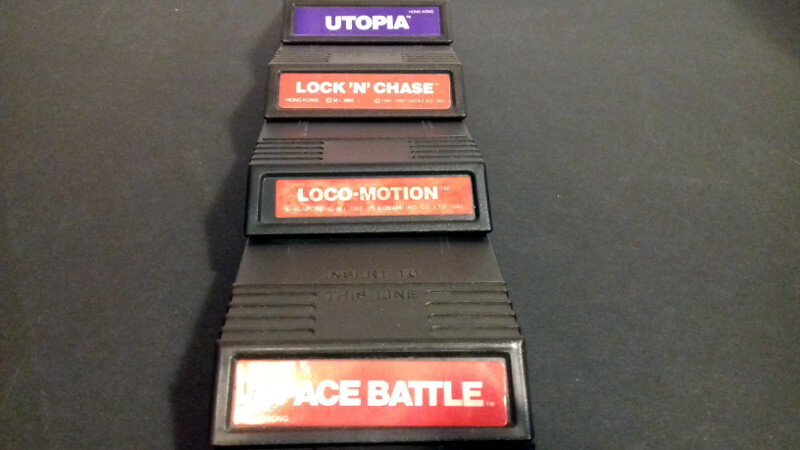 I mean, there's a real ton of micro games being made over there for all kinds of Plug n' Play devices. And they do sneak their way across the globe via all these little unofficial gaming devices. Who knows if there's anything really redeeming in those 200 or so games. I am aware that at least one is a re-skinned NES classic called "Balloon Fight". Alas, don't know the re-skinned name. So, there is at least that. 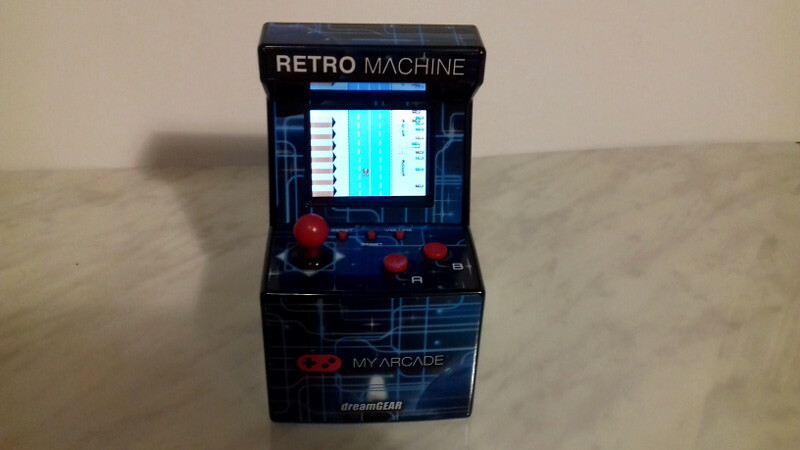 In fact, I thought about pulling a kind of 'Kitt trick' with that Retro Arcade' by sticking in a Raspberry Pi to run an emulation of some real consoles. The control layout should be fine to handle anything like an NES, Game Boy, Atari 2600/Commodore computer just fine. Even the Sonic games on the Genny. The real Intellivision has hard wired controllers which have numeric keypads and the "directional disc". In the episode it looks like they are playing with the more common Atari style joystic. This would pull towards to emulation for KITT instead of putting Intellivision hardware under KITT's dash. "The real Intellivision has hard wired controllers which have numeric keypads and the "directional disc". In the episode it looks like they are playing with the more common Atari style joystic." There are several ways to approach that technicality...the first of which being that this is the same show that went about presenting it's 'advanced' knowledge of computer programming by writing up a simple PRINT program in BASIC. Then, filmed said program and aired it. Only, they used the LIST command instead of the RUN, literally ruining the whole point of even writing up a program to begin with. (Except that, quote on quote, "Next to nobody" back then really knew what computers were or what programs were. Not sure how much of a percentage of the viewing audience back then computer savvy.) So, grabbing any old controller to stuff into the vehicle was just as good a goof for short cutting the scene. A better answer might be that this was the advanced Foundation, making cutting edge technology. Figuring out how to custom make a better controller over those things that came with Coleco's/Intellivisions was very easily within their abilities. Honestly, I've only ever touched those via the retro systems that were sold a couple years back. Got to say that I can't believe any hardware designer ever thought they were a good interface...except for the excuse that it was the dark ages of gaming and nobody really had too much experience about what a good controller could be. Besides, back then, it was pretty standard place to just make a controller be a few switches, directly wired to the console. Not quite sure if Coleco and Intellivision used any components inside a controller. But, an Atari controller was so simple, it could be ported to Commodores and Genesis' by directly plugging it in. As for the Amiga emulator question...I never even knew anyone whom ever owned an Amiga. However, there is this guy from Finland whom does a lot of streams with Amigas and Commodores. He'd probably know about Amiga emulation software. I could ask. A regular viewer, after all. EDIT: I just asked and he can't confirm there is an emulation or not. He only 'thinks' that there may be one. Time will tell about old companies releasing new systems. Be very weary about placing any hope into the whole lot of them. The Coleco Chameleon. https://en.wikipedia.org/wiki/Chameleon ... e_console) - Oh, brother. Was this "Chameleon" far worse at concealing it's true nature over that of the time when Kitt was a 'Tomato on wheels' under a plastic shell of a super rare, vintage sports car. Some questionable doctored promotional photos, some third rate adaptations and a slightly see through shell all worked against this scammer on a very big scale. 'Anything' modern Atari promises. https://en.wikipedia.org/wiki/Atari_VCS_(2019_console) - In the works is a 'modern' looking shell that supposedly plays all your retro 2600 games! Plus, does some other modern things. Like playing Tempest 4000! Which the game maker mentions that they had no idea that they were even making a game for this platform. While 'clearly' the Atari company all so proudly displays a working prototype of the game on their hardware. Not to mention that this modern Atari company was backing some kind of Atari watch, some months back. When things grew even the slightest bit choppy, they abandoned the whole project, leaving the watch company to their failed fate. It may be 2018. However, we still have criminals whom are operating above the law. And we're still in need of defenders whom are busting these crooks back down to size. Because the stakes are indeed high. Talking millions by thieves whom are banking on nostalgia and rigging together this abundance of emulated trickery, only to flee into the night with empty promises and rise again with the next nostalgic scam to pull off.